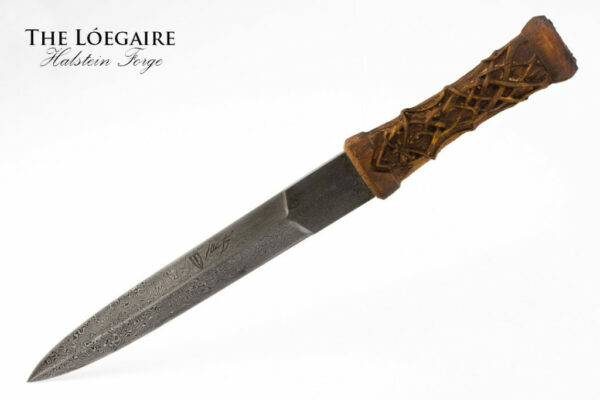 The Aedan forged with blend of 1095, 5160, L-6 and O1 steel, giving a stunning contrast to the folded steel layering. 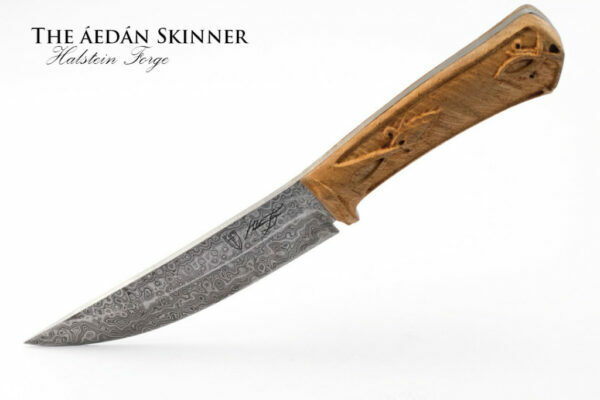 While knives have been and are extremely useful tools, Skinner knives in particular are an essential part of any hunter or trapper’s arsenal. 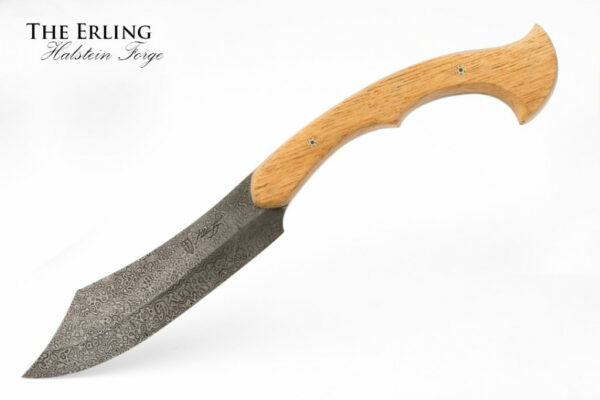 More than a regular knife, a Skinner knife has been designed specifically to aid in the act of skinning a game animal. 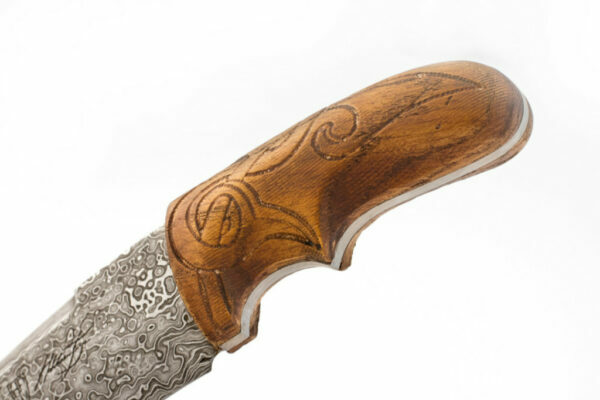 In order to quickly dress an animal a hunter must quickly go through several steps including draining, skinning, and scoring. 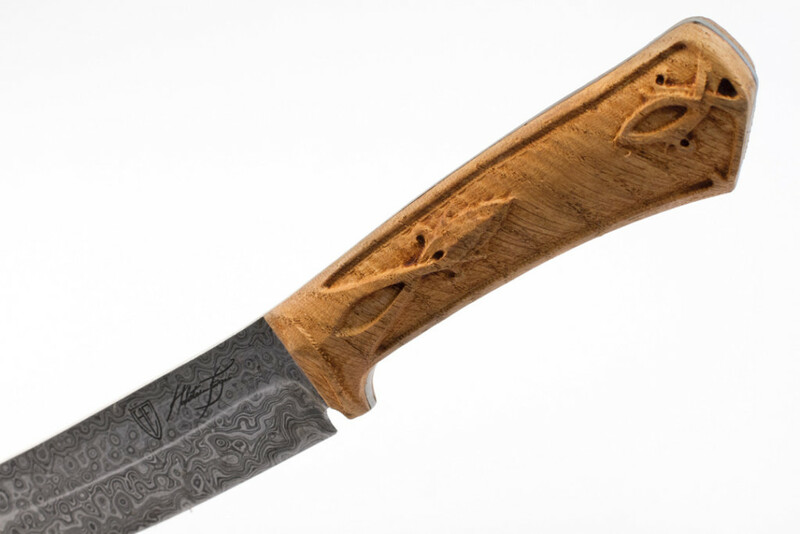 While a regular belt knife may work in a pinch, the discerning hunter will want a more specific tool to quickly complete his or her field dressing chores. 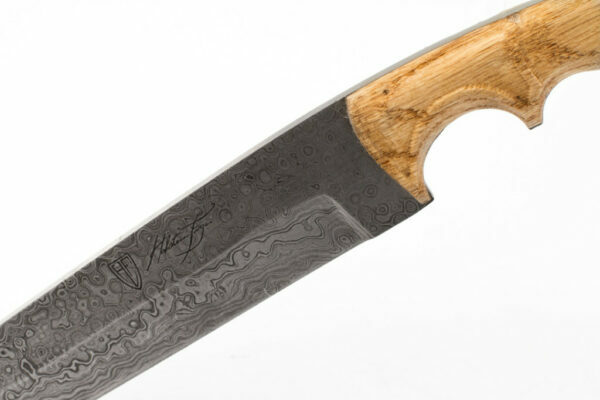 There are many different types of Skinner knives, but one thing they all have in common is that they have been designed to neatly and effectively slice layers of tough tissue. 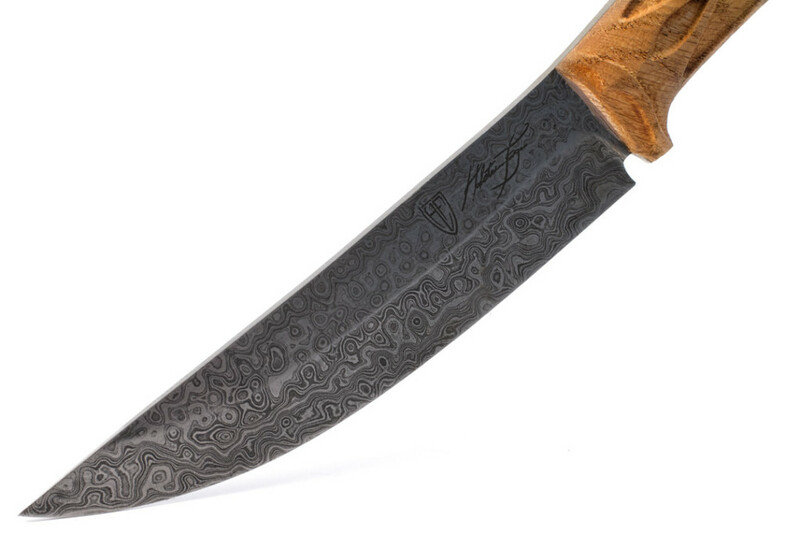 A Skinner knife is not a weapon – it is a piece of hardware, and one that makes a hunter’s work significantly easier. 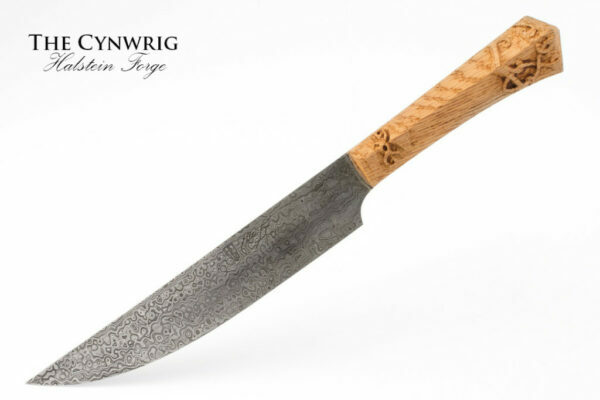 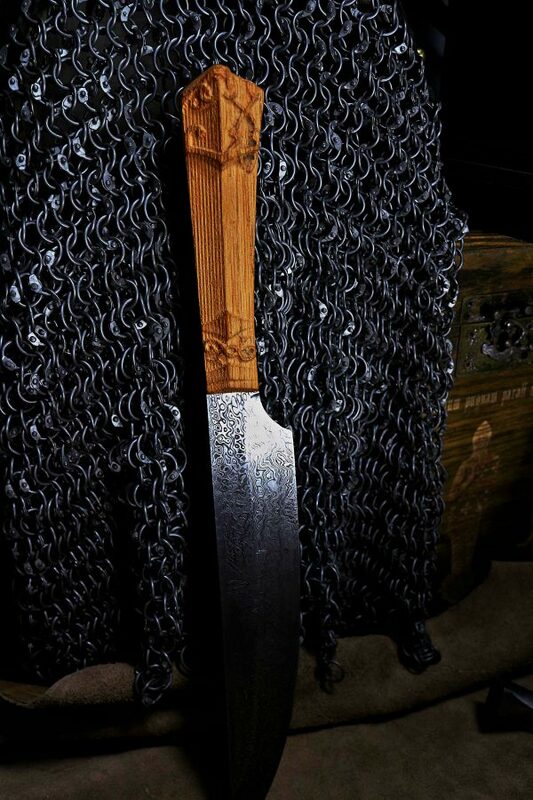 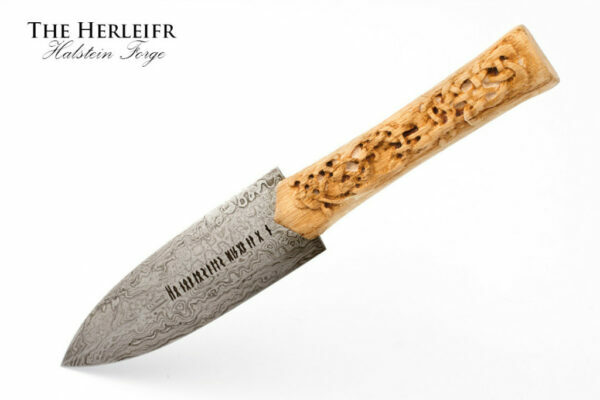 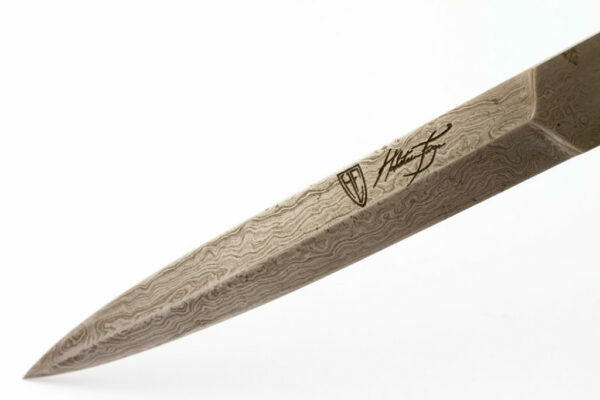 “Aedan” is a Gaelic word meaning “born of fire,” and certainly suits this powerful Skinner knife well. 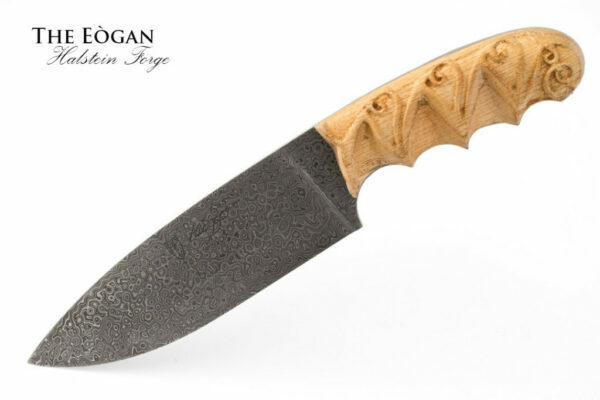 The Aedan Skinner is Halstein Forge’s modern take on a classic – some might say ancient – design. 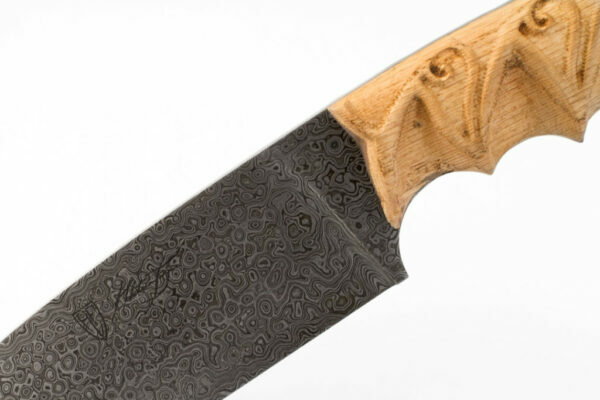 Unlike some Skinner knives the blade is fixed, not a folder, which allows for strength and stability when taking the time to do good work on a long skinning job. 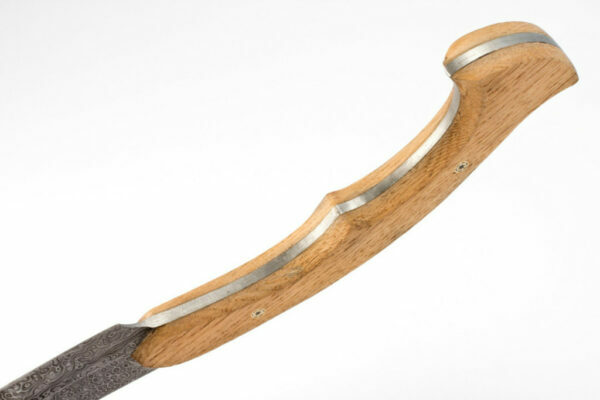 The edge is razor sharp and gracefully curved, requiring a minimum amount of wrist movement in order to make skinning easier. 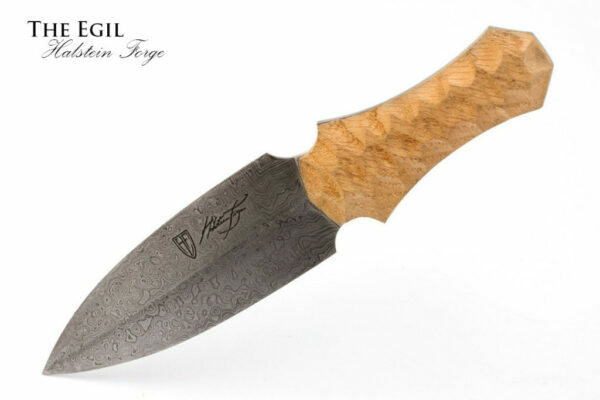 The back of the blade is thick, robust and matched by an equally sturdy tang – no danger of this knife snapping on a misjudged cut. 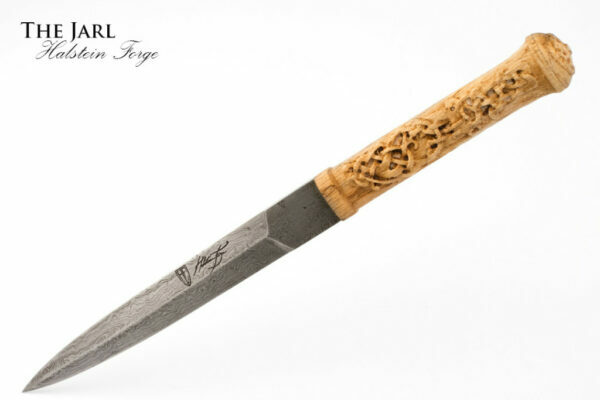 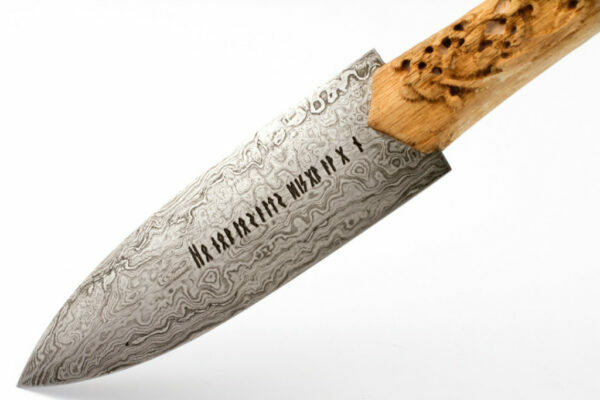 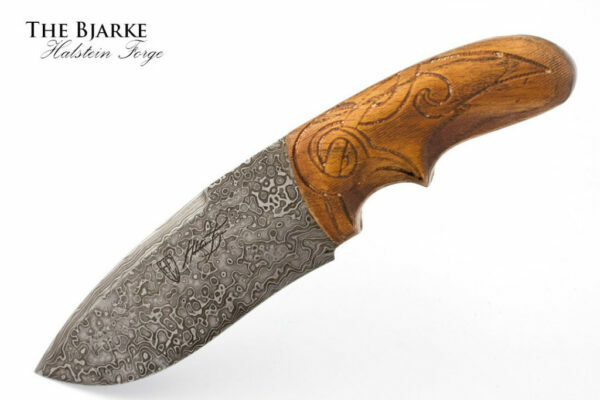 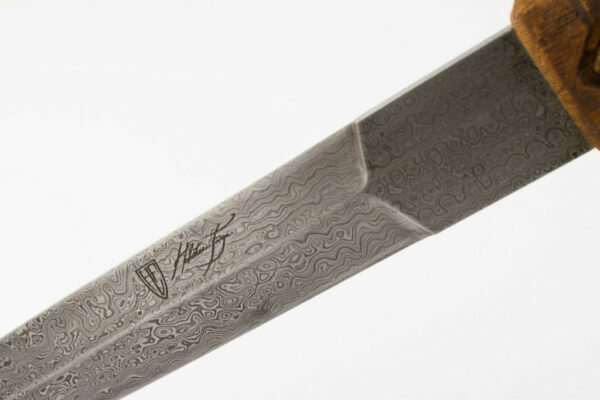 The Damascus pattern and beautiful carved oak handle may seem out of place to some on such a “workhorse” knife – but why should it? 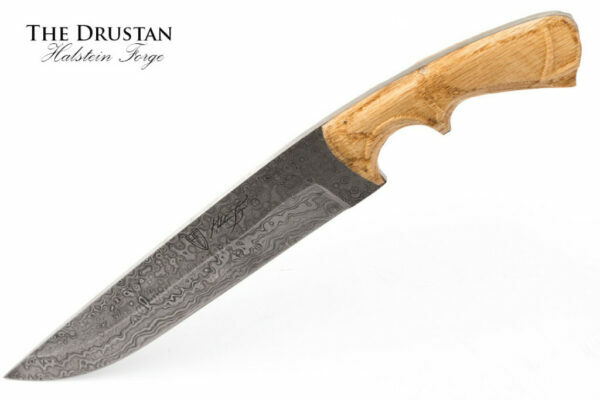 Hatstein Forge’s smiths have worked hard to create products that walk the knife’s edge between beauty and functionality, and the Aedan Skinner is the perfect example.